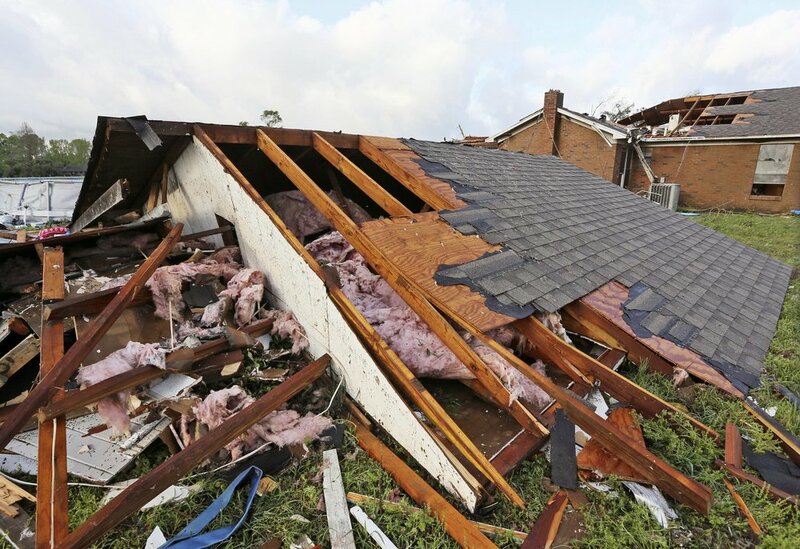 A roof a home that was blown off a home in Hamilton, Mississippi. after a deadly storm moved through the area Sunday. 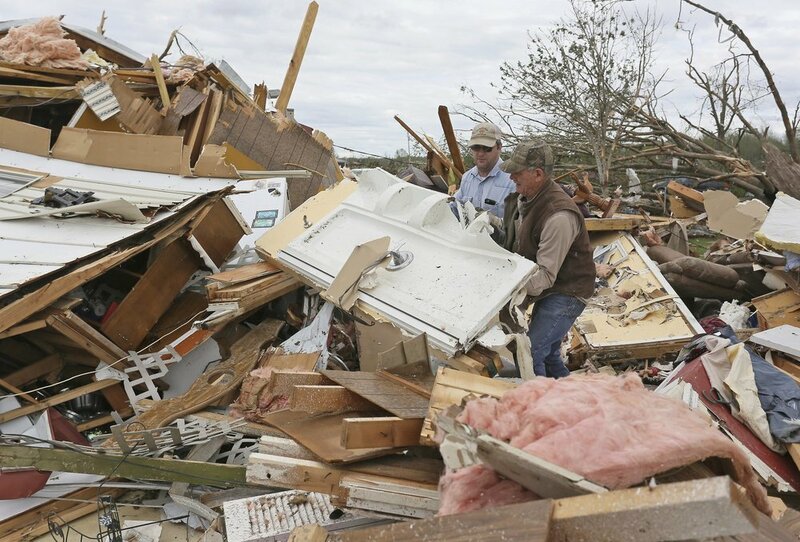 Roman Brown, left and Sam Crawford, right move part of a shower wall out of their way as they help a friend look for their medicine in their destroyed home Sunday, along Seely Drive outside of Hamilton, Mississippi. It destroyed 55 homes, a church, four businesses, a duplex, and part of the local housing authority building, authorities said. Two people were hospitalized for injuries that were not thought to be life-threatening.